Stay in Cinque Terre's best hotels! A 2-minute walk from Manarola’s rocky beaches, Hotel Marina Piccola features air-conditioned rooms with free WiFi access. It is characterized by the stone walls contrasting with the modern... Excellent location steps away from the sea! Our hosts (didn't get their names but they were sisters) were friendly and most helpful with any requests we had. Room was spacious and very clean. Breakfast was great! In the popular Cinque Terre Park, a quarter mile from the coastline, Ca' D'Andrean is in central Manarola. It has free Wi-Fi throughout, grounds with tables and chairs, and a bar. This hotel was recently renovated and the result has been bellissimo. The rooms are appointed well and the bathroom was the best we had in our two weeks in Italy; very modern and large. The owner operator, Simone is the 'cook' in the morning for the continental breakfast which was yummy. He is also friendly and has lived in Manarola all his life. There is no elevator in the hotel so this could be a problem for older guests and the hotel is located up a steep hill from the train station, but if you're adventurous, you cannot go wrong with this spot. Offering an indoor pool and a sun terrace with free hot tub, family-run Hotel Piccolo is 66 feet from the seaside in Moneglia. The wellness centre was really nice as was the breakfast. 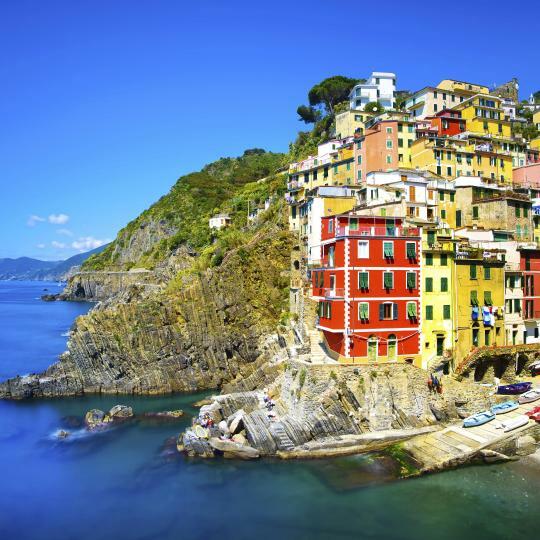 Hotel Il Saraceno is in the small village of Volastra, in the Cinque Terre National Park. It offers a rooftop terrace and rooms with free Wi-Fi access. For the price, it was great. Loved not having to drive on the road through the towns. The traffic on the road to the B&B was light but very curvy. Having the Bus stop right across the street was convenient and it took you to train train station. Free parking at the B&B was the best. Hotel Bagni Arcobaleno is located directly on the beach in Deiva Marina. It offers free lounge chairs and umbrellas, a sun terrace, and free internet connection. Loved the breakfast view and the breakfast. Helpful staff. Room was clean and comfortable. We didn’t use but beach chairs and umbrellas were available. Highly recommend. A 2-minute walk from Manarola’s rocky beaches, Hotel Marina Piccola features air-conditioned rooms with free WiFi access. It is characterized by the stone walls contrasting with the modern... Excellent location steps away from the sea! In the popular Cinque Terre Park, a quarter mile from the coastline, Ca' D'Andrean is in central Manarola. It has free Wi-Fi throughout, grounds with tables and chairs, and a bar. This hotel was recently renovated and the result has been bellissimo. 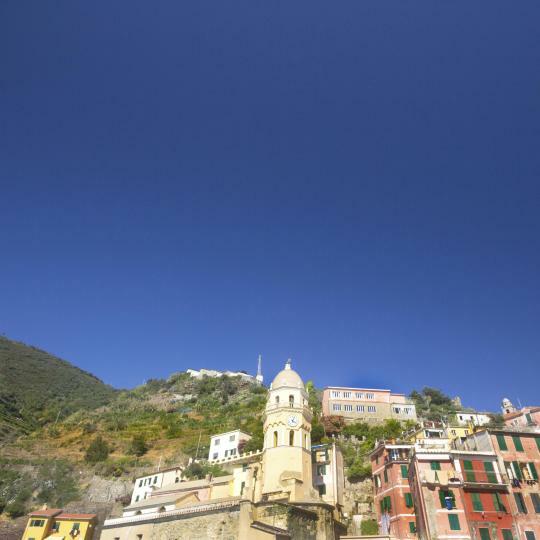 Hotel Il Saraceno is in the small village of Volastra, in the Cinque Terre National Park. It offers a rooftop terrace and rooms with free Wi-Fi access. For the price, it was great. Loved not having to drive on the road through the towns. Hotel Bagni Arcobaleno is located directly on the beach in Deiva Marina. It offers free lounge chairs and umbrellas, a sun terrace, and free internet connection. Loved the breakfast view and the breakfast. Helpful staff. Room was clean and comfortable. Set on Portovenere's seafront, this hotel features a terrace overlooking the small port and Palmaria Island. Set in a 17th-century monastery, it is a few steps from the town center. The check out time was at noon time and the kids wanted to swim in the afternoon. Set 656 feet above sea level in Moneglia, Hotel La Vigna features an outdoor swimming pool, a garden, and on-site dining. Free WiFi and air conditioning are available throughout. We had a problem with our car (flat tire) when we arrived. Set a 5-minute walk from the sandy beaches of Moneglia, Hotel Villa Edera & La Torretta features a an outdoor pool and a private garden with a seating area. Lovely hotel, really close to city centre, beach and all restaurants. Located in Moneglia, Abbadia San Giorgio offers a garden. Featuring luggage storage space, this property also provides guests with a terrace. The rooms have a flat-screen TV with satellite channels. Perfect location, perfect staff and perfect all around. In the historic center Monterosso al Mare, this small hotel offers a rooftop garden overlooking the Ligurian Sea. Its bright, air conditioned rooms include a 26" LCD TV and private bathroom. Personnel was very welcomig and polite. Good willing, i'd say. It creates comfort. 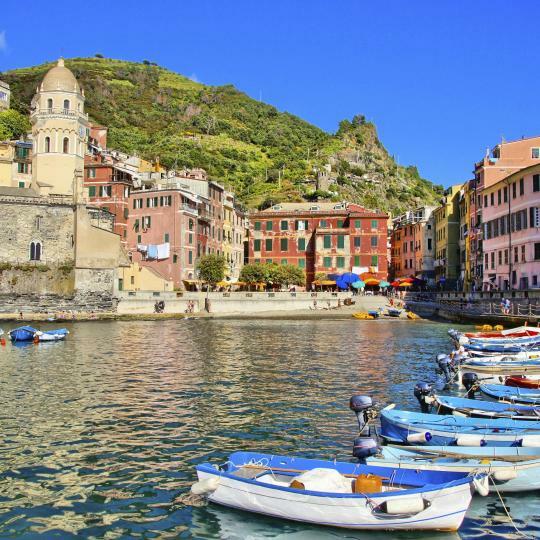 Featuring free WiFi throughout the property, Hotel Meublè Agavi offers accommodations in Monterosso al Mare, in the UNESCO Cinque Terre National Park. You cannot beat the location and it’s views should you get a ocean view window. 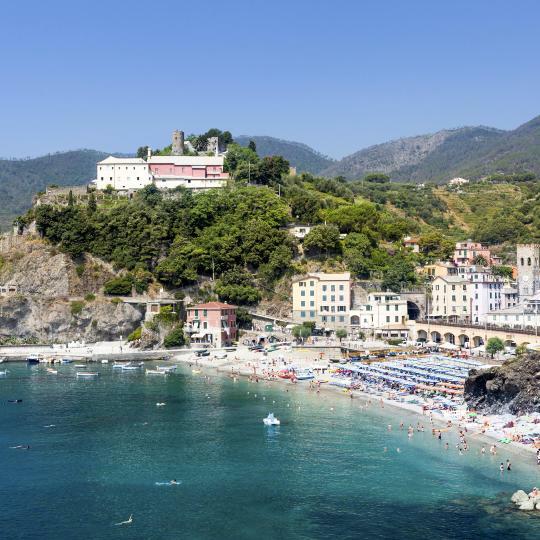 Monterosso’s spirited historical centre overflows with restaurants and cafés. Take a walk along the sea promenade with some Italian Gelato ice-cream. 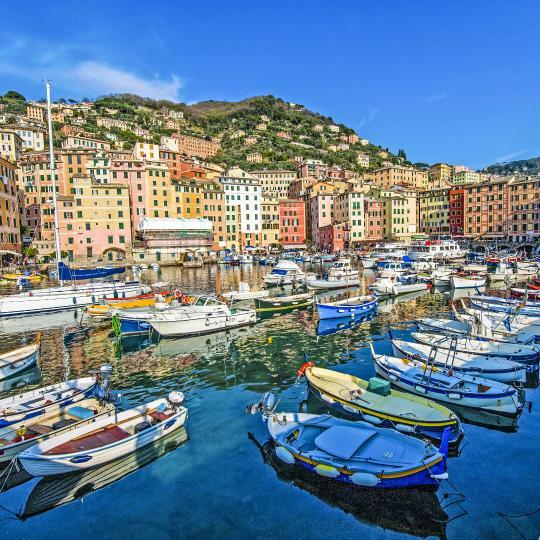 Known for wines right out of its own vineyards, this picturesque village is perched high above the Ligurian Sea. The scenic Sentiero Azzurro hiking trail also begins here. This charming hamlet invites you to stroll around its centre and sun tan on its modest beach. The fortress is a unique lookout point for panoramic views of coastal storms. 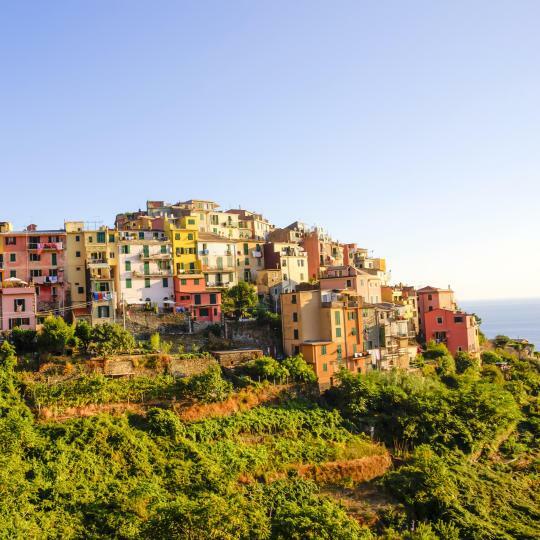 Set atop a 100-metre-high promontory, Corniglia offers breathtaking views of the Cinque Terre National Park. Navigate the steep path to reach the hidden gem of Gùvano Beach. The market buzzes with life at the port off Manarola Street, with friendly chatter and haggling. Fishmongers peddle a variety of seafood, freshly caught by local fishermen. This UNESCO-listed site celebrates harmonious teamwork between nature and humans in preserving a beautiful cultural landscape. The terraced vineyards make scenic hiking trails. Home to an amazing variety of marine flora and fauna. 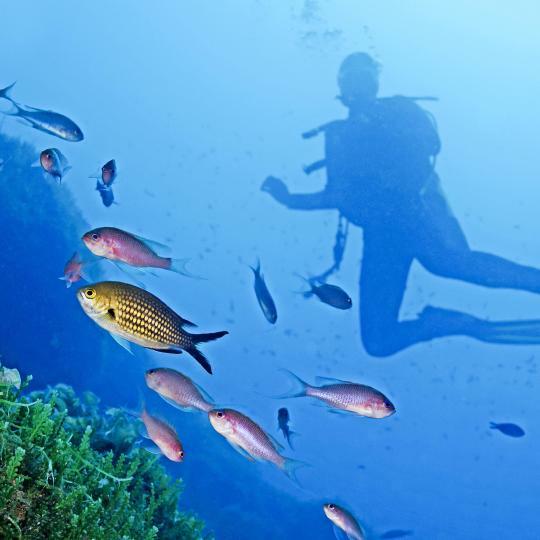 Day and night diving tours mean beginners and experts can have an underwater adventure. The term denotes the highest classification for Italian wines. 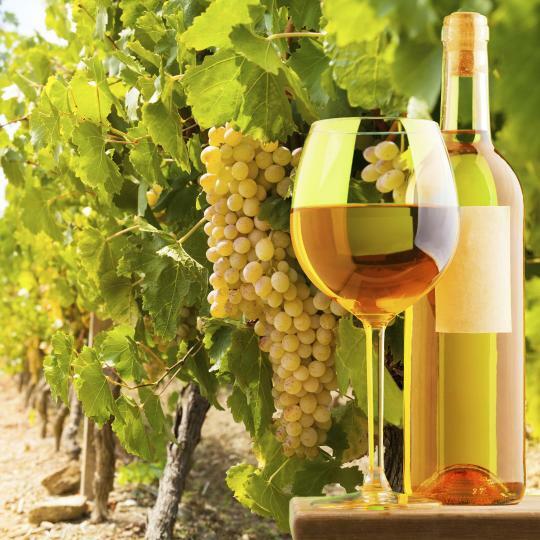 From Limoncino liqueur to sweet Sciacchetrà, the real taste of Cinque Terre flows through her DOC wines. Dedicated to the Virgin Mary, the sanctuaries offer breathtaking sea views. 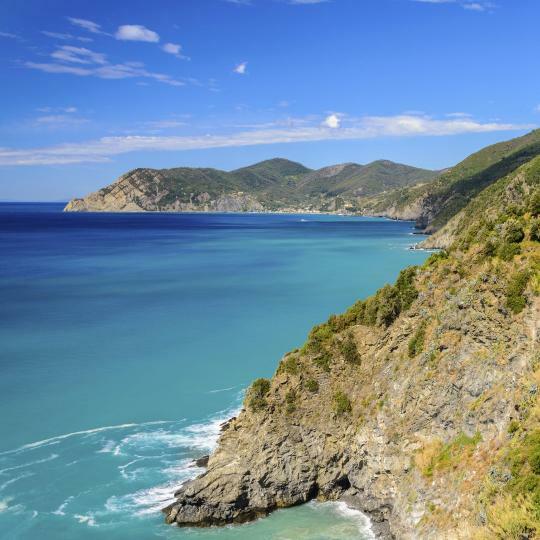 Set on the hills of each Cinque Terre village, they're accessible by bike, horseriding or on foot. The charm of Levanto is mirrored by this apartment. It's not chic, and it's not new, but it is the real Italy. Staying here is like staying with family. Some of the furnishings need to be replaced, but it's HUGE (3bedrooms/2baths a full kitchen, washing machine, 2 Italian channeled-TVs and fast WiFi). The back terrace is a wonderful place to sit with a glass of local wine and relax. The train station is very close (1/3 mile), with trains running up and down the Cinque Terre every few minutes. Claudia was extremely helpful! We loved this boutique hotel. Very happy that we chose to stay in Monterosso al Mare versus the other small Cinque Terre towns. There are way more food options especially if you walk down into the other side of Monterosso. The hotel room was clean, air conditioning worked like a champ, and this was the ONLY hotel that I stayed at in Italy that had a proper blow dryer! We would highly recommend this hotel for your stay and we would absolutely return. Grazie per tutto, Claudia! I first read about this hotel in Italy's Cinque Terre book by Rick Steves. It was one of his recommendations and we thoroughly enjoyed our stay. Michela was so helpful. She even sent us an email before our arrival offering to stow our luggage in case we arrived early. The bed was very comfortable and the room was spotless. The bathroom was very clean and seemed to have been newly remodeled as everything seemed so clean and new. We will definitely stay here again and will recommend to all our friends. Great location, very easy to find because it is in the center of “new town” Monterosso. Very pretty building across from the sea. Maria was the most helpful staff person we have encountered in Italy. She went out of her way to explain the complicated ferry schedule and train options, gave us recommendations for restaurants and beaches, and was overall very pleasant and kind. Our room was small, and the shower door was a bit of a challenge, but I think that is common in Cinque Terre hotels. Andrea the hotel manager, receptionist and owner is friendly, informative, and helpful. His tips and suggestions "made" our trip to Monterosso and Cinque Terre far more enjoyable than it might have been. For example, he immediately told us the trains were on strike Saturday, so we planned differently; other tourists we spoke to hadn't known that. And he recommended a hike from Manarola to Corniglia that was the best hike we had in our 2 weeks in Italy. Newer room located on main beach in monterosso, cinque terre. Area is in middle of town, walkable to all the restaurants and shops. Well traveled area with many tourists walking by but room is amazingly quiet. On arrival hotel staff met us at room for introduction. Three minute walk from train station. Bed was comfy, shower amazing for Italy, blow dryer in room. Small gated patio in front of room. I would stay here again. Great breakfast overlooking a beautiful beach and the Mediterranean. This is an owner operated hotel and they were wonderful and went out of their way to see that we were pleased. The owners helped us find English sound on some Italian TV stations . Not an easy thing to find in Italy. Also this is a great base for visiting Cinque Terre. You can get an all day pass for all of the 5 cities on the train for 16 euros. The staff working there were unbelievable people!!!! They went above and beyond to make my girlfriend's and mine experience in Italy really enjoyable. They also tried really hard to help us get a hold of the courier who had my girlfriend's lost luggage. I cannot thank them enough for how enjoyable they made our experience and I will definitely stay at this hotel again when I am in staying in Cinque Terre!! Extremely pleasant staff. My daughter felt cold in the night, so they gave her additional blanket. They also gave me good instructions about the local restaurants and cinque terre hiking. Many restaurants and small shops near the hotel. Good breakfast, excellent coffee. Staff allowed us to leave luggage and even the car a bit longer than the checkout, because it was a beautiful day and they wanted us to enjoy it. The apartment is a 15-minute walk from the train station that provides access to the Cinque Terre villages. It is spacious and well-appointed with a balcony overlooking the main street in Levanto. Although we didn't cook, it appeared to have a well-equipped kitchen. A short walk to restaurants and the beach. We didn't expect maid service and were surprised to find fresh towels each day of our stay. I love the location of this hotel near the beach, the bustling activity in the town of Levanto, and the convenience of easily walking to the train station to continue into Cinque Terre. It’s clean, the staff and members of the owner’s family are extremely kind and helpful, and the breakfast is excellent. This is my 4th visit to the hotel over the past 6 years and each time, I have been very happy with my stay. We were super lucky to be able to reserve this apartment on our trip to Italy. Fantastic location close to beaches, restaurants and the train to Cinque Terre. The property owner was very helpful in getting us oriented and prepared for our stay in Levanto. We will definitely try to book this place the next time we return to Italy. Alberto and his staff were very welcoming and helpful. This hotel is an excellent location to explore the villages of Cinque Terre. The hotel has been remodeled and is very comfortable. There is a nice breakfast provided with the cost of the room. The hotel is close to the beach, and many great restaurants. Everything about this apartment was wonderful! The best part was the amazing view! The staff was very nice, friendly, and very helpful. It was easy to travel (by car) to the other towns in Cinque Terre. This was one of the best places we stayed in Italy. The cousins who run the hotel go way above and beyond. They met us at the train station and helped with our luggage. The apartment was spacious and spotless and the view and patio were outstanding. Perfect landing point for visiting the cinque terre. Our host Simone was welcoming and friendly. He gave us a car pass to park our car in all (blue) non-resident areas for free. Apartment was very clean. Close walk to everything. Great place to stay to visit Cinque Terre.